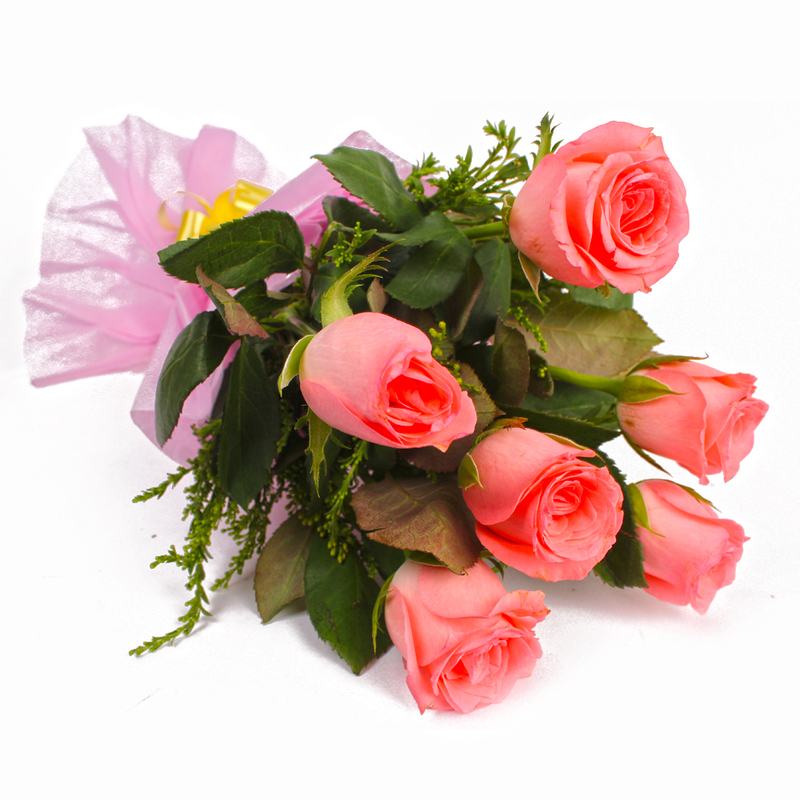 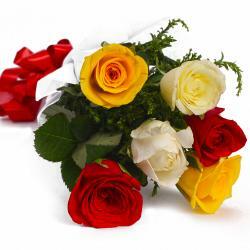 Product Consist : Six Pink Roses with green fillers in Tissue with Ribbon Bow on it. 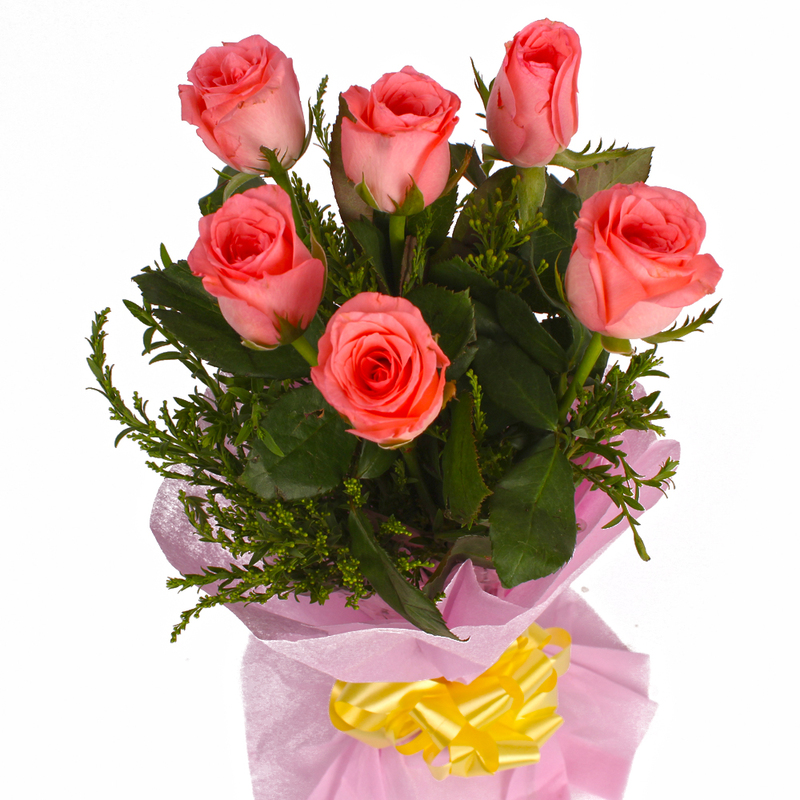 Surprise your loved ones in India with a bunch of pink Roses As flowers are the most expressive ways to reveal your heart-felt emotions, send this hand tied bunch of amazing six stem of pink roses to your loved ones in India. 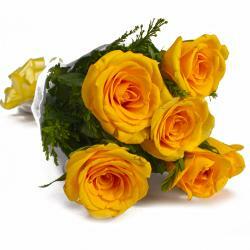 Ferns and decorative fillers add to its beauty. 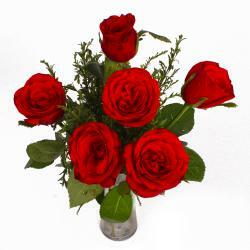 Send this Bouquet along with other Gifts to India through Gifts Across India and make your dear ones feel special on special events like Birthday, Anniversary, Romantic, Valentines Day, Missing You. 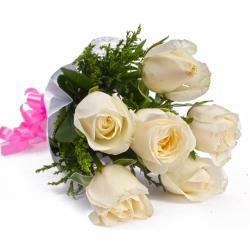 Product Contains : Six Pink Roses with green fillers in Tissue with Ribbon Bow on it.